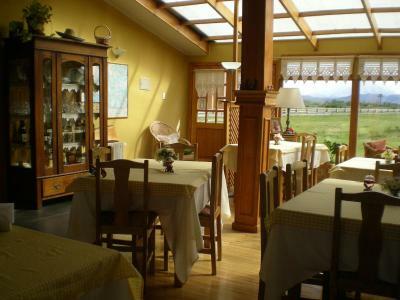 Lock in a great price for Hosteria Lago del Toro – rated 8 by recent guests! Our group of 5 friends was very happy with this hotel. It’s a small hotel with a very cozy feel. The staff was friendly and accommodating. Rooms were basic but clean and comfortable. Nice view from the dining area. The hotel had two dinner options, one with a starter, main course and dessert and the other being just the main course. It was very convenient and the food was good. Prices were very reasonable for the area. Being on the Rio Serrano, just outside the park entrance, the proximity to the park was good. 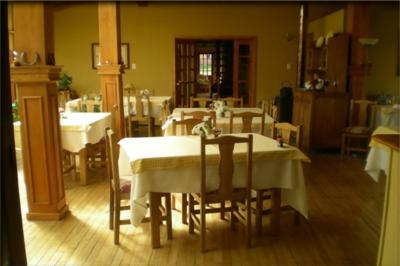 The breakfast/lobby area had wood burning stoves which were welcome after a nigh with no heat and no heating in the rooms during the day. The place was very clean. This was our favorite lodging near Torres del Paine! 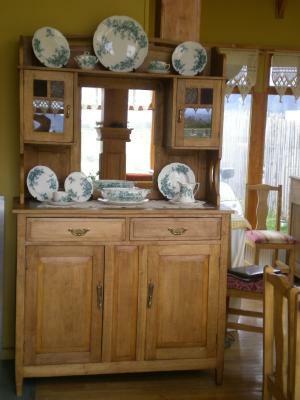 We found everything near the park to be very expensive for what you got, lodging and restaurants too. The employees here were so very friendly and made us feel very welcome. The meals were very good and reasonably priced. 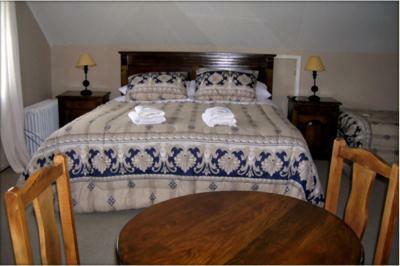 The room was spotlessly clean and very comfortable. We would happily stay here again and wish we had been able to stay here longer! They had a very good breakfast spread. 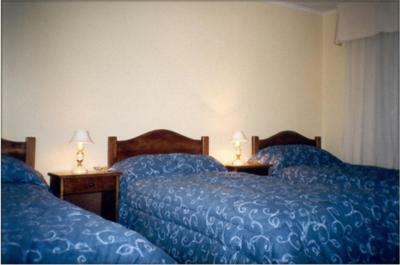 The room was spacious, clean, and had comfortable beds. The bathroom was very clean and the hot water was delightful and a full day of hiking!! Everyone was so genuinely pleasant and helpful. We were traveling with our baby and they were so loving to our baby, they even held him so we could eat. 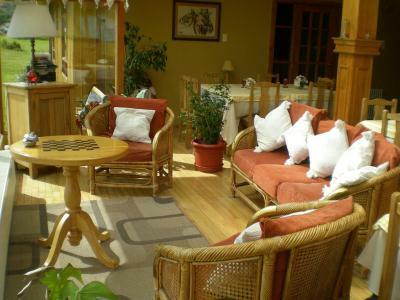 The location was also amazing, quiet with views of the mountains and countryside. Our room was great as well with amazing views from our window and a porch. 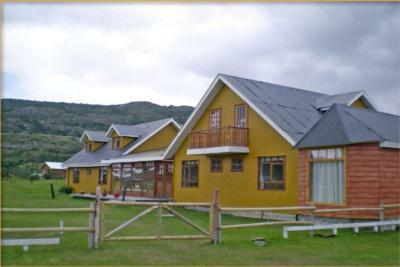 We stayed in Hostería Lago del Toro for three nights and had a wonderful time. 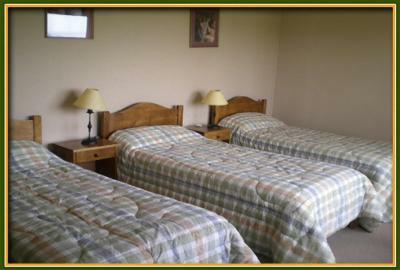 Clean rooms, beautiful mountain views, and great location close to the national park. 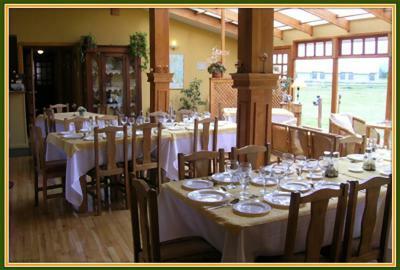 The food was particularly excellent- the chef prepared different delicious meals every night complemented by freshly baked bread. The staff were warm and so gracious, and the whole Hostería had a homey, antique, and authentic atmosphere. Highly recommend! Very clean room. Good view of the mountains in the park. Good price relative to other hotels/hostels nearby. Beautiful location close to park entrance. Lovely views. Clean, welcoming. 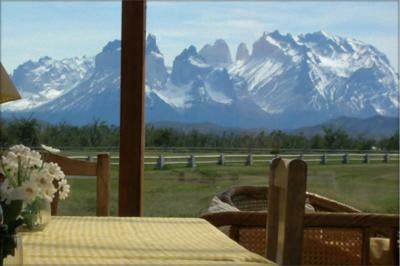 Located 1,650 feet from Serrano river, Hosteria Lago del Toro offers splendid panoramic views of Torres del Paine national park. Free Wi-Fi and free parking are provided. 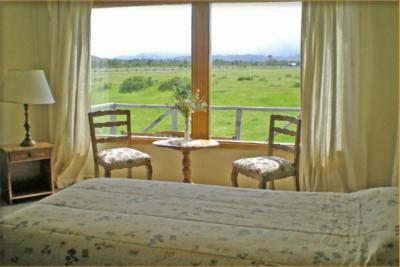 The rooms in Hosteria Lago del Toro feature private bathrooms, seating areas, and mountain views. Guests at Hosteria Lago del Toro can relax in the garden and enjoy the views. Laundry services can be arranged upon request. Lago del Toro is 5 mi from Porteria Rio Serrano in Torres del Paine national park and 47 mi from Puerto Natales. 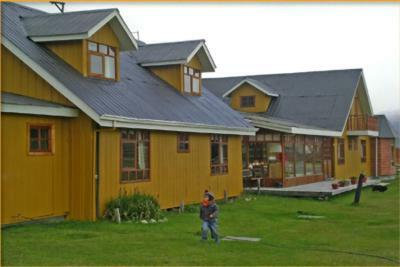 When would you like to stay at Hosteria Lago del Toro? 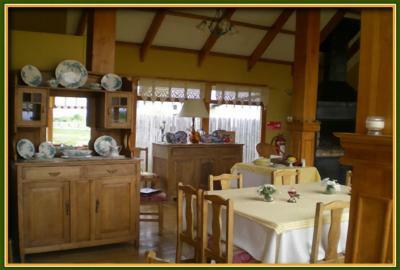 House Rules Hosteria Lago del Toro takes special requests – add in the next step! 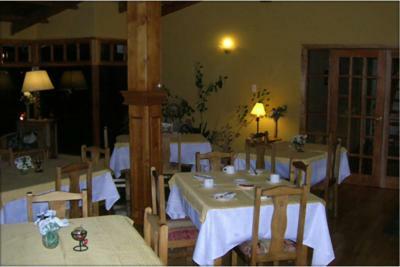 Hosteria Lago del Toro accepts these cards and reserves the right to temporarily hold an amount prior to arrival. 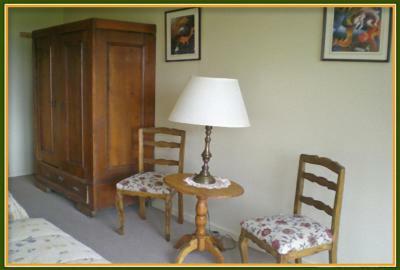 Please note according to Chilean legislation, smoking is not permitted in the rooms or inside the property itself. The energy in Hosteria Lago del Toro is supplied by generators which produce no noise and require no fossil fuels, only the wind and sun. Therefore, energy is available from 5:00 to 10:00 hs and from 19:00 to 24:00 hs. Overnight emergency equipment is available. Based on local tax laws, Chilean citizens (and foreigners staying more than 59 days in Chili) must pay an additional fee of 19%. Please note that for tax exemption foreign travelers must pay in US dollars and have to present the migration card they are given when they arrive to the country. Foreign business travelers, who require a printed invoice, will also be charged the additional 19% regardless of the length of their stay in Chili. This fee is not automatically calculated in the total costs for the reservation. The food was terrible, sounded good on the dinner menu but that was all. 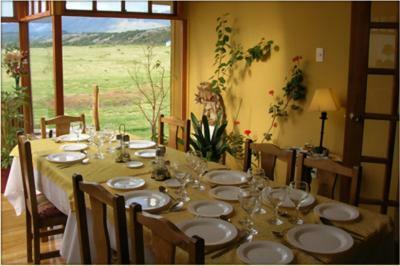 The location has to be the best in Torres Del Paine, the room was very clean and comfortable even though many people seem to complain about these things. The Hosteria offers value for money when you compare it with other accommodations within the park and it’s in a central area with magnificent views. It was a bit expensive (like all other properties around). Wifi signal was quite poor. Absolutely loved it. 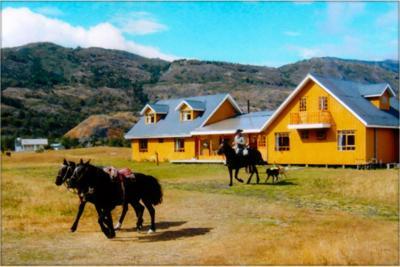 Amazing location, very close to the entrance of Torres Del Paine National Park, only few minutes walking to the closest viewpoint. Really friendly and helpful staff. Tasty food, they have vegetarian options for dinner on request. Room was clean, spacious, with a very comfortable bed. I would definitely choose it again. Nice room for breakfast and very good dinner. Le personnel ne parle pas du tout anglais et ne fait aucun effort pour nous comprendre. Très dommage pour le prix payé. The staff does not speak a word of English and does not make any efforts to understand you. Disappointing when thinking about the price we pay. Nice area for breakfast and very good dinner. Price - quality It was pretty basic Wifi was only available in the lounge area and pretty slow. Shower was cold. Poor coffee, wifi very slow - we would prefer good wifi or none at all. Wi-fi was patchy at best. Furniture was a little dated. 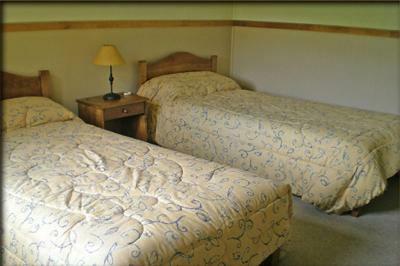 We booked a twin room, and got a twin room, which was incredibly small and smelled musty (room 17). 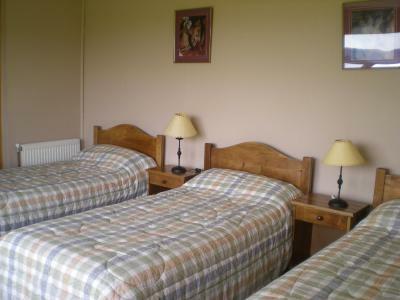 I saw other twin rooms which were bigger but already booked. Spring for a larger room (the room next door with a king bed looked wonderful), which we would have done if they had been available. We found out after our hike that the hotel may have had trekking poles for us to rent or use, which would have been nice. Breakfast was good, although it didn't start until 7:30. The owner started the coffee machine early one day just for us, when we wanted to get an early start in the park. Laundry is available. Staff is nice. Internet did not work most of the stay and just very expensive. Also, it is not clear if they serve food each day and were hard to get ahold of. Cute place, very cozy, and close to the park. Friendly staff. All the staffs are willing to help. They suggested us some trekking routes with a map. Do not miss their dinner, which is at very good price! They even had some guests from other hotels came for the dinner. We love this place so much with a wonderful view in the front. Room 10 that we stayed in, the windows were very drafty where the caulking had worn away. The heater was right under the window, so what few hours of heat we did get went out the window. We stuffed tissues in the cracks the second night and that helped a bit. The internet was not good but I think that is the case for most places in the small village. The breakfast/lobby area was small and with only a couch and 2 chairs, there wasn’t much place to sit during breakfast/lunch/dinner when people were eating. 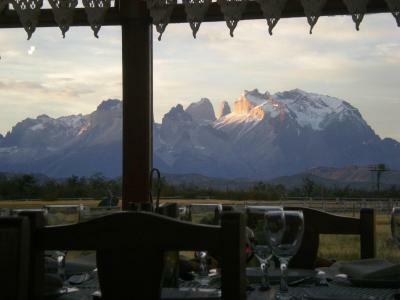 For the $170 per night, Vista al Paine - Refugio de Aventura, Konkashken Lodge, Goiien House and dome others in the area might be worth looking into. Cosy and warm place, when rain and wind was hitting the valley. An open fire in the common area. So naturally friendly and helpful staff, and the best dinner experience for the whole trip. A guesthouse with a soul. View and atmosphere.